U.S. Secretary of State Rex Tillerson is using the ongoing ASEAN ministerial meeting to encourage “denuclearization of the Korean Peninsula”. The summit is one of the few events attended by both American and North Korean diplomats, although no direct talks are planned. Assistant Secretary of State for East Asia Susan Thorton announced the US is using the meeting to pressure Southeast Asian states to “drastically” reduce diplomatic and trade ties with Pyongyang, especially by expelling the 50,000 regional North Korean guest workers that provide $2.3 billion in remittances to the cash strapped government. The US also aims to suspend North Korea from ASEAN forums altogether, arguing that its missile tests are a violation of ASEAN conflict-prevention rules. The US may have limited success convincing countries to reduce ties with North Korea. The Philippines is openly considering downgrading diplomatic relations with Pyongyang, and regional states are growing increasingly uncomfortable with the political costs of using North Korean labour. 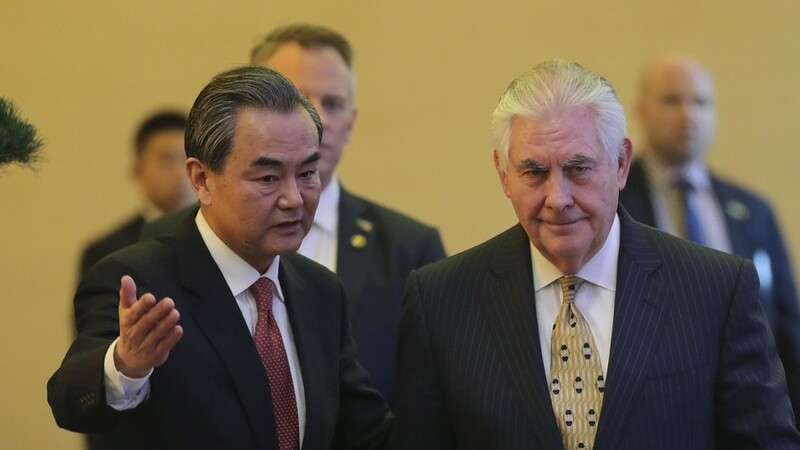 But given ASEAN’s consensus-based decision-making and historical neutrality on the topic, it’s unlikely the US will sway the bulk of member states on the issue.